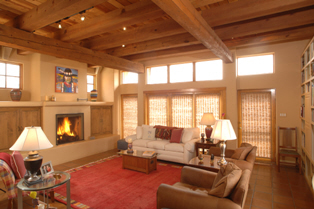 Welcome to my Santa Fe, NM real estate website - a site designed for you. You're probably at the information-gathering stage and may not be ready to open up about who you are or your real estate needs at this time. 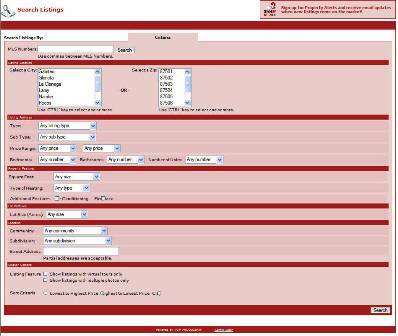 So use this site to research the Santa Fe real estate market yourself. All the tools available are virtually the same tools I use for my clients. 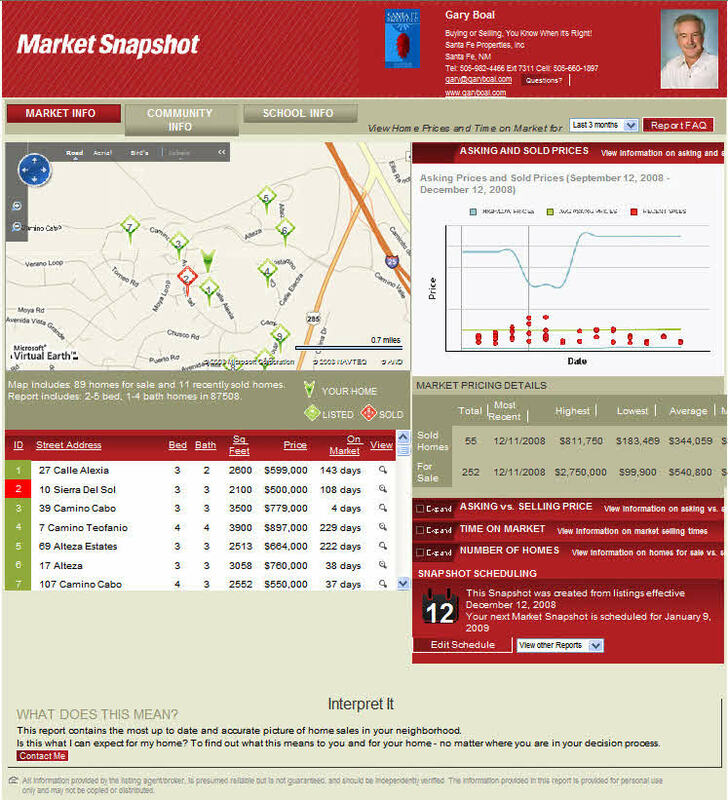 You can create your own automatic monthly Santa Fe Real Estate Market Report with the MLS Market Snapshot...tracking sales trends (prices, selling time, number of sales and more). Many of my clients want a monthly report about the Santa Fe real estate market and in the past such reports were kept real broad and general about market activity. It was really tough to tailor these reports for specific neighborhoods of Santa Fe, price ranges, styles (condos, town homes, single family) and size (bedrooms, baths, sqft). The MLS Market Snapshot provides all of that in a specific monthly report per your criteria (neighborhood, prices, style, size, selling time, number of sales and more) for the Santa Fe real estate market. In addition to a monthly Santa Fe Market report you may want to know when properties come on the market that match your property profile. 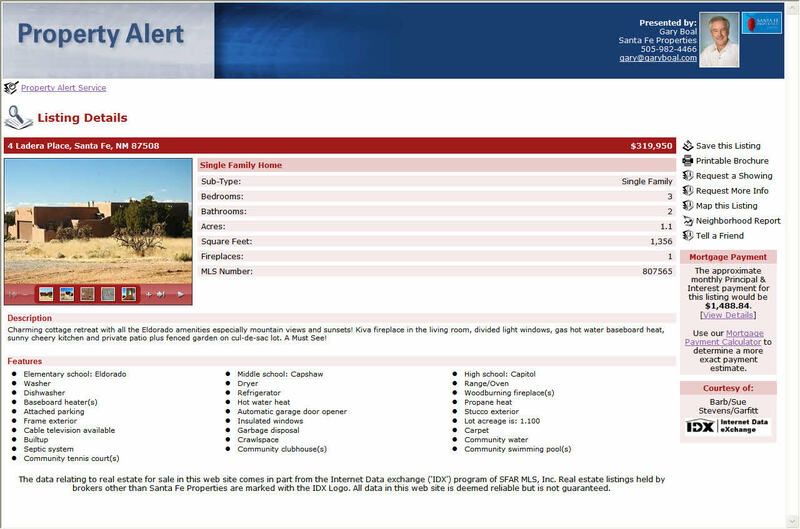 You can set up a search in the Santa Fe MLS that sends automatically by email new listing(s) matching your profile (complete with pictures and mapping). With a Property Alert subscription you’ll know about the new listings probably before most real estate brokers. Searching the Santa Fe MLS is also available here. 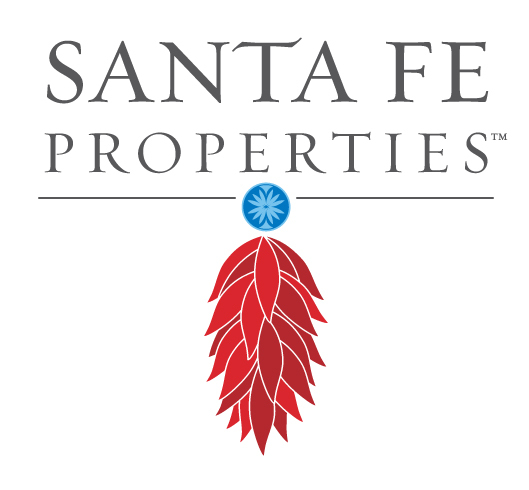 You can receive free access to All Listings from all Santa Fe real estate companies through Online Multiple Listing Search! Search the Santa Fe MLS yourself and view listings just like I do. Simply enter your price range, desired features, and location. You'll see property details of each home with color pictures and location maps. Beat out other buyers to listings including new homes, condos, town homes, luxury homes, fixer uppers, bank foreclosures, and distress sales. Get access NOW. If you currently own Santa Fe real estate and are thinking of placing it on the market, the MLS Market Snap Shot is definitely a must report. Track the trends and prices for your area including type, style, size of property and more. When you're ready for a more precise pricing report complete the form on Free Pricing Report. The report will lead the way to obtaining the best price when you sell, with the least amount of hassle, and in the shortest time possible. Please be assured that your privacy will be kept sacred and your information will never be shared with any third party. So have fun - explore this site, and discover Santa Fe's real estate market. You'll see why my Santa Fe, NM customers have been coming to me since 1989. Santa Fe...a great place to live! Welcome!